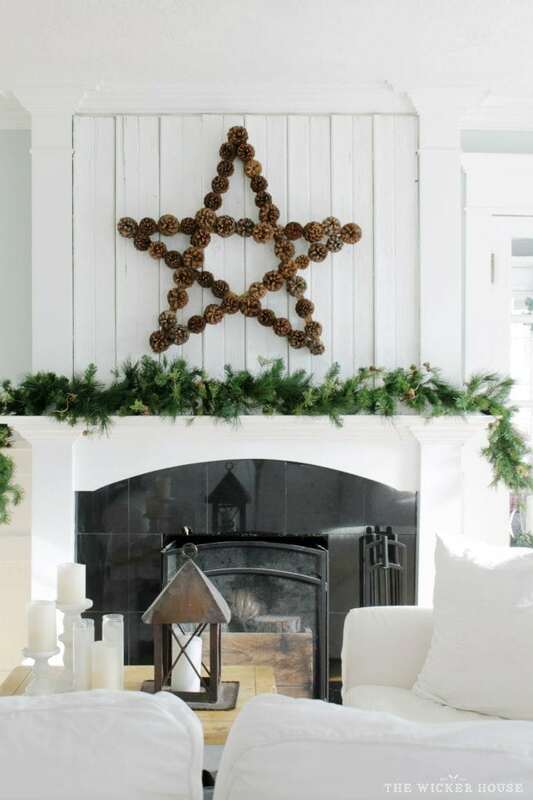 It’s Emily here from, The Wicker House, and today I wanted to share with you this large pinecone star I made to go on our fireplace mantel this holiday season. 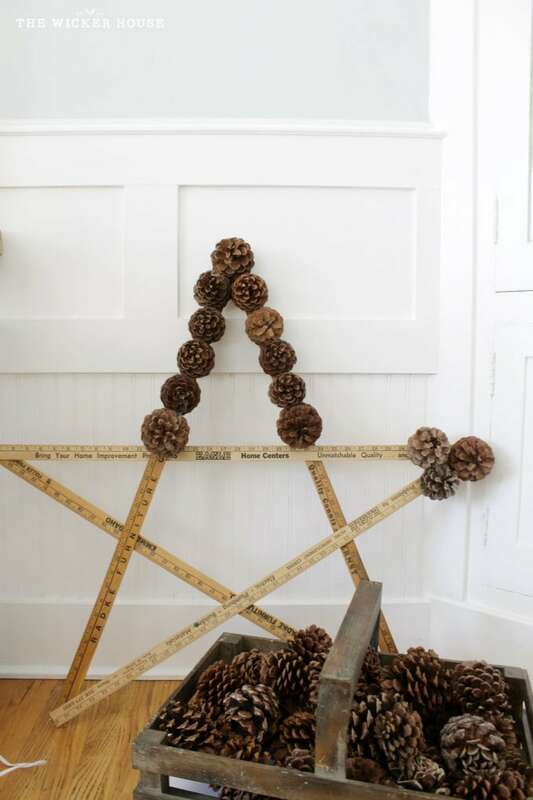 To make my pinecone star I started off with five yardsticks. 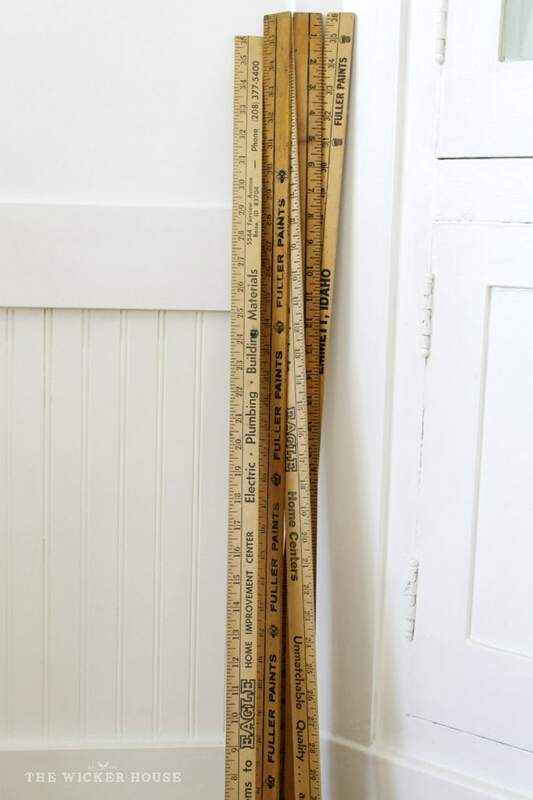 I have been collecting these yardsticks for a while now, some of them are even vintage and I had a hard time deciding if I wanted to use them for this project or not, but I did, just because I already had them on hand, otherwise I believe you can find yardsticks at any hardware store. I simply laid my yardsticks on the floor to create a star pattern. 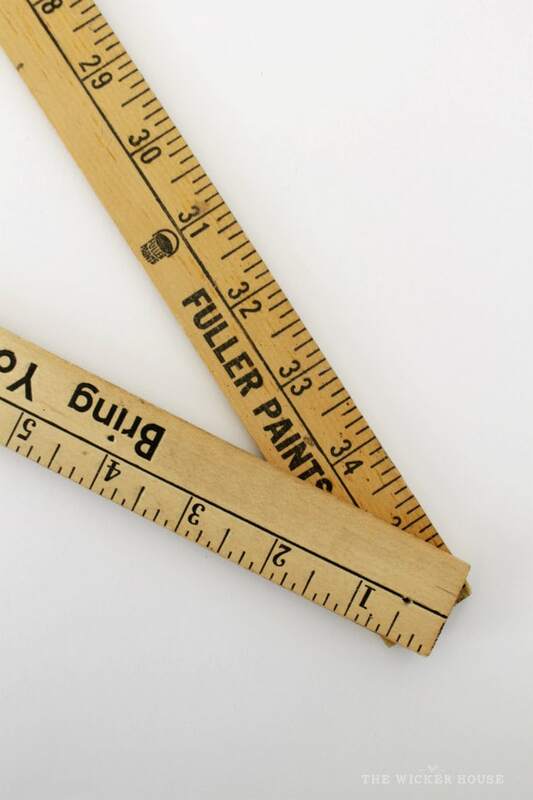 I then applied hot glued at each of the 5 points to attach the yardsticks together. I also stuck a dab of hot glue at each spot where the yardsticks overlapped. Be careful that your star doesn’t move on you, it’s important to keep the star’s angles all lined up the same. Now the yardstick star looks pretty cute as it is, in fact, I got the idea HERE from Finding Home Farms. But for my star, I decided I wanted to add pinecones to it to give it a more rustic textured look. While the star was laying on the ground, I started hot gluing on my pinecones. The hot glue works great because the pinecones are lightweight. I haven’t had any problems with them falling off.My star took 53 large pinecones. The pinecones were all collected while camping over the summer. 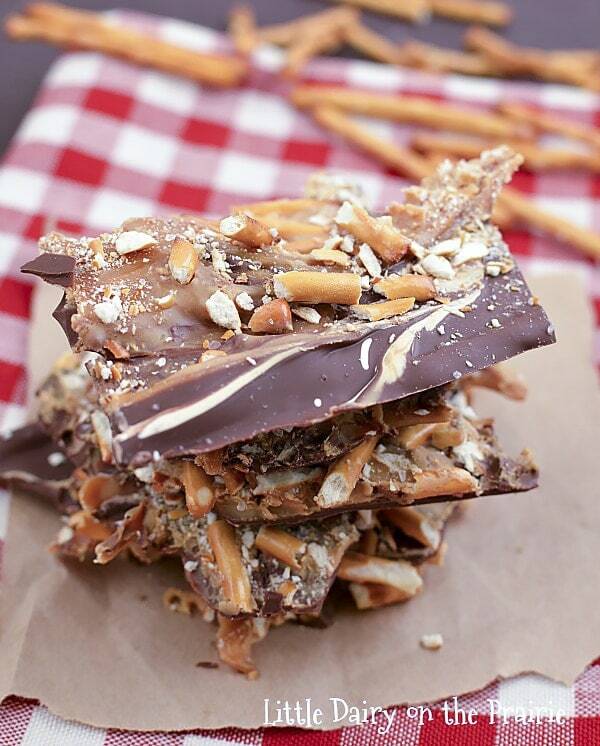 Each camping trip I would bring home a bag full knowing I would find something great to do with them at Christmas time. 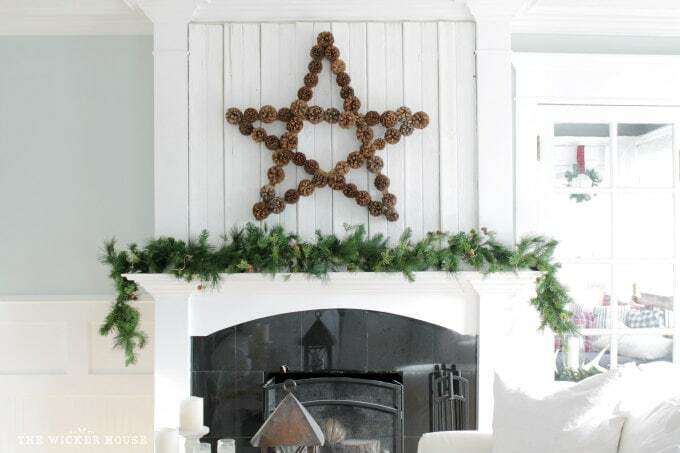 I think this pinecone star was just what my mantel was needing. 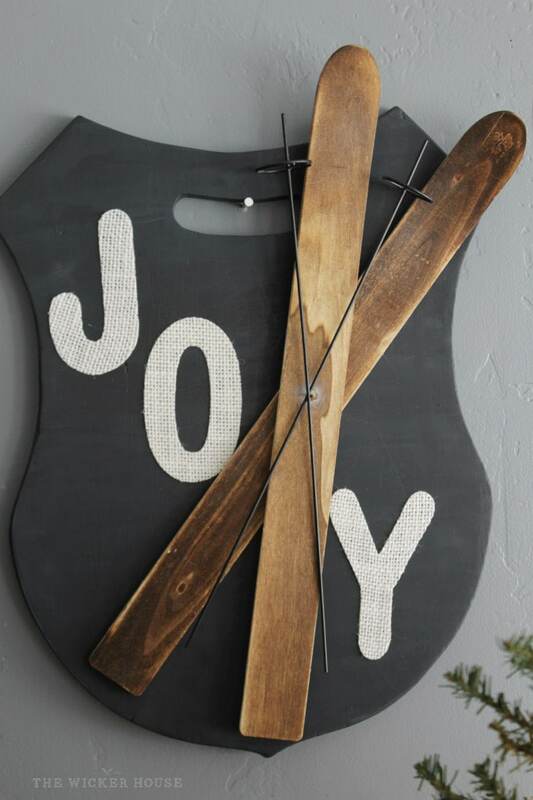 I am going to be sharing my full holiday house tour on Thursday, so please stop by then if you would like to see more. Thank you so much, Ella Claire, for having me today! I adore this! 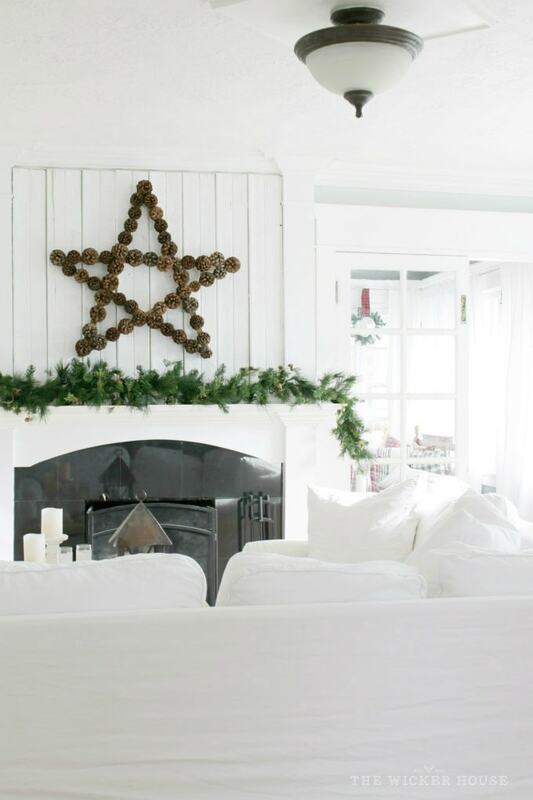 I have tons of pine cones we’ve collected from our lake cabin, and this would be the perfect project for them!